Arm Restraint Assembly for SPOA9 000-400, SPOA10 500-700, SPO12-10 TO 710, SPO15-310, SPO18-310 (LF, RF, RR, and LR) Rotary Flat Polymer Pad Adapter Kit includes four (4) FJ2427 adapters. Each adapter has a 3000 lbs. capacity and adds 1-1/2" in height with a rubber pad surfaces that measures 4-3/4" x 6-5/16�. This pad protects vehicles with factory-applied undercoating, for use with VersaLifts. Keeps air guns, torque sticks and other tools within reach. Mounts easily in holes already drilled and tapped in the two-post column. Flat Polymer Pad Adapter Kit Adds 3" Height. Polymer Pad Surface Measures 4-3/4" x 6-5/16�. Includes (4) FJ2428 adapters. Door Defender: Allows technicians to easily enter and exit the vehicle without damaging their customer�s vehicle. Low profile solid rubber guard designed to fit over the two-post lift carriage. Includes 1 Door Defender, adhesive to attach to the lift, Rotary decal and instructions. High Pressure Cylinder Repair Kits for Rotary Lifts Rotary Air/Electric Utility Box mounts easily on any Four-Post Surface Lift (except for SM300 models), but, unlike FA916, this box does not includes a filter-regulator-lubricator. The two 110V electric outlets and air connection provide quick access to utilities right at your fingertips to make the lift a complete work station. Air/Electric Utility Box without Filter/Lubricator/Regulator. Mounts Easily On Any 2-Post Surface Lift Except 84 and 74 Series Lift. Provides Easy Access To Both Air And Electrical Outlets Making The Full Rise Lift A Complete Work Station. EH (Extended Height) Auxiliary Adapters For Use When Raising Certain Vans Or Pick-Ups. Maximum Height 14 3/8" (365 mm). Capacity 2,500 lbs. (1,134 kg) Maximum Per Adapter. 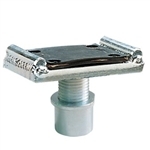 Fits Any Surface Mount Or Inground, Frame-Engaging, Rotary Lift manufactured Since October 1973. Set of four (4) FJ6214 rubber adapters. These adapters are recommended for use on 3-stage arms when lifting trucks or other frame vehicles. Truck Adapter Kit for the Trio Superstructure. Includes four (4) T110564 adapters. 2 Piece Column or Wall-Mounted Adapter Organizer Rack Part #FJ6108. Rotary Adapter and Rack Kit includes FJ7858, FJ697, and FJ698 adapters (four each), plus a 2-piece column or wall-mounted Adapter Organizer Rack (FJ6108). This kit allows you to accommodate more vehicles quickly and easily, while keeping adapters organized. Power unit kit for most Rotary Lift two post surface lifts - Also fits most other lifts rated at 10,000lbs or less. This kit will replace most power units on light duty surface lifts. Kit includes mounting bracket to permit mounting on any lift. Kit also includes various hydraulic fittings to connect your hose or hoses to. This Kit includes four retaining bars for performing two-wheel alignments. One gauge is included, with a 3000 lbs. capacity, though two gauges are required per lift. (Standard gauge pictured.) Rotary Standard Turning Radius Gauge Kit includes two standard gauges and four retaining bars for performing wheel alignments, and each gauge has a 4500 lbs. capacity. 1,000 lb Revolution Motorcycle Lift Rotary 6000lbs.-Capacity Rolling Jack for SM14,SMO14, AR14, and ARO14 Four-Post Lifts. This rolling jack comes with pad adapters to lift the front, rear, or all wheels off of runways for brake, tire, alignment, and/or suspension work. The drop-in rubber adapters are made with high durometer rubber, and, when not in use, the jack rolls out of the way to provide unobstructed workspace between the runways. The jack's easy-glide wheels also roll smoothly in the track, while a sweeper pushes debris away from the wheel. Rolling Jack For SM121, SM/SMO122 and AR/ARO122 Prior To April 2000.